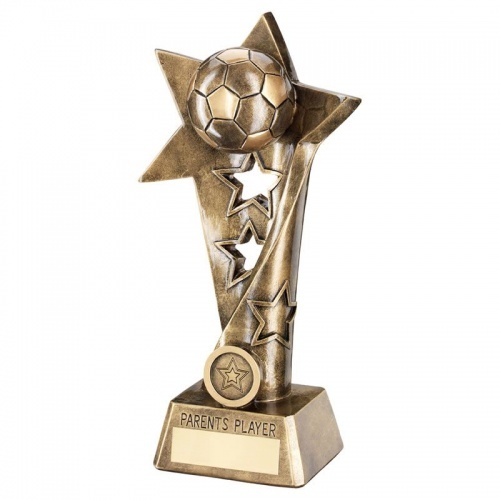 These 10.25in tall football trophies are ideal to reward and recognise your Parents' Player of the year, season or club. Made in durable resin with a bronze and gold colour finish, they feature a star motif column with a 1in centre at the foot, mounted on a bevelled base with engraving plaque below the legend Parent's Player. Offered with engraving options.